The death of Igwe Stephen Nwatu, the traditional ruler of Ogbozinne autonomous community in Akpugo, Nkanu West Local Government Area of Enugu State in June 11 brought to four the traditional rulers that have allegedly died in the hands of their subjects in the last six years in Enugu State. The death of Nwatu has exposed the rot in the traditional institutions in the state and processes that enthroned occupants of the stools. In over 400 communities in Enugu State, half of the traditional rulers have problems with their subjects. The traditional ruler of Umuode in Nkanu East Local Government Area, Igwe Moses Ugwu, was the first to be killed on September 9, 2012 in his shop in Akpoga Nike. 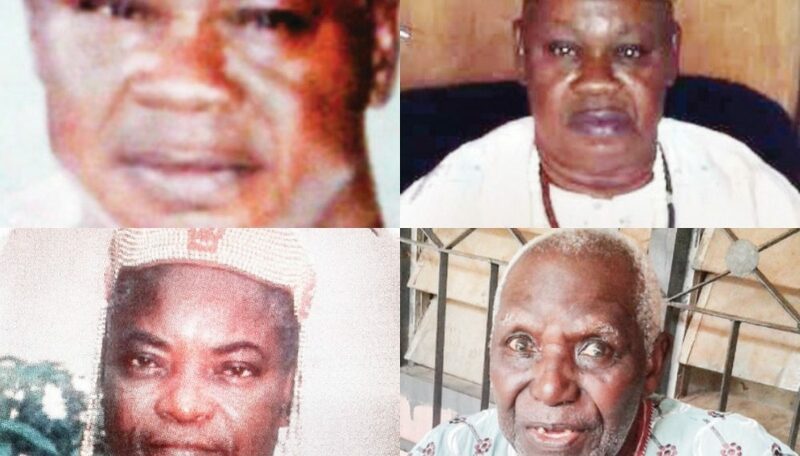 The traditional ruler of Mgbanaocha Nkerefi, Nkanu East Local Government Area, Igwe Peter Onuoha, and three members of the community, Ejike Udeme Uzor and his wife, Evelyn Udeme Uzor; and Daniel Ogbu were killed on July 11, 2015.
are still lamenting his death. The death of Ugwu was attributed to the lingering communal crisis between Umuode and Oruku communities, which used to be one community. While the killing of Onuoha was attributed to alleged differences with his subjects. The alleged killers of one of the monarchs, natives of the community was said to have confessed that they killed him because of alleged violation of human rights. â€œWe were not happy with what the monarch was doing in our community. The monarch was violating human rights by killing people and throwing them into the river and also collecting peopleâ€™s land by force in the community and if you opposed him, he would deal with you,â€ one of the killers was quoted to have confessed. It was learnt that the royal father and some youths in the community had disagreement over a controversial spiritual sacrifice he allegedly made in the community. Angered by the development, the youths were said to have forcefully uprooted the royal fatherâ€™s signpost, to express their disloyalty. â€œBut community leaders condemned the act and threatened to fish out and discipline the youths involved,â€ a source disclosed to Daily Sun. However, the killing of Nwatu by a mob following his alleged directive to his driver to crush his subjects have unsettled the state. A source said that if the state government and security agencies had taken decisive action from series of petitions from the community certainly the ugly incident that led to the death of Nwatu would have been averted. When Daily Sun visited the once bubbly Ogbozinne community that parades wealthy personalities, it had turned to a ghost of its former self as many have deserted their homes for fear of reprisal as well as arrest by the police. It was observed that magnificent houses numbering over 22 were completely burnt down by those alleged to be loyal to the dead monarch in company with some security operatives, who gave them cover. The people our correspondent saw during the visit were very old women and some elderly men who are over 80 years old. Even children were hardly seen in the vicinity. Markets and drinking joints were the villagers used to retire in the evening were deserted. During the period our correspondent spent in the community, only seven women and four old men were sighted in a community that had over 3000 inhabitants. At the compound of the eldest man in the community, Elder Samuel Okenwa, it was only he and his elderly wife that were left within the area. He said that since June11, 2018, he had neither seen nor heard from his children. â€œAs I speak, whether they are dead or alive, I donâ€™t know,â€ Okenwa said. Ogbozinne was on one the four autonomous communities created out of the old Akpugo community by the Chimaroke Nnamani administration in 2003. In the euphoria, the people of the community sought Nwatu to lead them. Okenwa said the problem with Nwatu started shortly after his coronation as the traditional ruler of Ogbozinne in 2004 when he allegedly took and covet parcels of land in Ogbata village for his personal use without rightly purchasing the said parcels of land from the owners. On July 2, 2005, he allegedly ordered the arrest and detention of some members of the community over certain issues. His trouble with these men began when one late Emeka Edeh donated a cow to the community for their support during the burial of his father. Soon after, the monarch accused late Alexander for comparing his high-handedness to the generosity of the said late Emeka. For this reason, he arrested late Alexander, but in efforts to get his release, four of their people were equally arrested on the order of the monarch, Okenwa further narrated. â€œThese illegal arrests and detentions progressed rapidly with the Igwe assuming an autocratic, unreasonable, undemocratic, draconian and Pharoah-like leadership, which resulted in fear of personal safety, fear of arrest, public humiliation and intimidation, seizure of peopleâ€™s personal properties etc,â€ he said. The octogenarian who spoke bitterly disclosed that in spite of the entreaties from their people both at home and in diaspora to the monarch to stop the tyrannical behavior but to no avail. He said: â€œOn December 29, 2012, the traditional ruler issued mandatory levies on every household in Ogbozinne which included event clearance fee N4,000, an annual payment of N6,000 for men and N3,600 for women which are to be paid by each adult member of a household. He said that the autocratic rule of Igwe reached a crescendo when he refused to allow for the burial of late Mrs Ogo Igwesi because her nephew resigned from neighbourhood watch the monarch grouped owing to his alleged inhuman actions. â€œThe refusal of the burial and N3000 levied on everyone that attended the burial aggravated the already tensed atmosphere in community. Okenwa read out 20 sins of the man. According to him, the traditional ruler allegedly engaged in forceful seizure of lands belonging to citizens. Illegal arrests and detention of his subjects. Imposition of compulsory levies on adult males and females etc. the monarch and others in both Enugu State High Court and Federal High Court. They instituted a civil action in Enugu High Court, Agbani Division. The suits were instituted after the town union had written several petitions to the government and security agencies to prevail on the traditional ruler but to no avail. â€œSo, in a unanimous vote of no confidence and show of community strength and togetherness, the people of Ogbozinne the appealed to Ugwuanyi for urgent intervention before the people perished in the hand of their leader,â€ he said. He said that on April 17, the community applied to the state commissioner of police for peaceful demonstration and the application was endorsed April 18.
â€œOn the day of the peaceful demonstration, the people of Ogbozinne wore their hearts on their sleeves and marched in a crowd of over 1000 men and women to the Government House, Lion Building Enugu. While we were on the way, the late Igwe chased the people with three Hilux vans carrying uniformed men until we got to the Government House. The monarch had no option but to retire home. â€œAt the Government House, we were received and addressed by Dr. Festus Uzor, the Chief of Staff to the governor. In the same formation, we moved to the office of the Commissioner for Chieftaincy Matters, office of the Commissioner of Police and some media houses. â€œAfter the visits, the monarch stormed the community with operatives of anti-robbery squad and arrested leaders of the town union and subsequently arraigned before a magistrate court for allegedly promoting local war against the traditional ruler and were remanded in prison custody,â€ he said. Okenwa further explained that several attempts at peaceful resolution the governorâ€™s Chief of Staff made precisely in May 2018, but the monarch never showed up in the meeting and another meeting was scheduled for June 11. Incidentally, the civil cases instituted against the Igwe in both state and Federal High Court came up on June 11. While members of the community stormed the court in their numbers, Nwatu was not present. Rather he laid ambush for the people, who were returning from the court and heading for the appointment fixed for 3pm with the governor. The narration of the eldest man in the community was collaborated by Mr. Jessy Okenwa whose legs were crushed allegedly on the order of the Igwe. Ogbozinne road had progressed smoothly with several hired buses and private cars by members of the community until Amodu-Awkunanaw road near the Amodu health centre, where unknown to the community members their monarch had laid an ambush for them with several Hilux vans and armed policemen and ordered that they returned to the community. It was gathered that the refusal of the people to return to the community as ordered by the traditional ruler had led to a free for all between the Igweâ€™s men, policemen and the people. In the ensuing drama, the monarch was said to have ordered his driver to run over people and in the process, Okenwaâ€™s legs were crushed. Okenwa was said to have passed out, a development that enraged the crowd and they gave Igwe and his men some beatings. While the Monarch was rushed to the ESUTH Teaching hospital, where he died hours later, Okenwa was taken to Government House where he was revived and admitted at the clinic. It was after closer examination of the degree of injuries he sustained that referral was made to the National Orthopedic Hospital, Enugu, where he was kept at the trauma unit for days. He spent over one week at the trauma section of the hospital and was to be moved to the ward to continue his treatment, but the resources to do so could not allow him continue, leading to his being discharged by the hospital. Since then, the father of six has continued writhing in pain. Lamenting the painful situation, Okenwa said he has been abandoned and could only feed his family by the efforts of his wife and church members. â€œI can neither walk nor work. I had several jobs at my shop but I have not carried them out because I cannot go anywhere any longer. I am here nursing my injuries and pains. All the people who could have helped me in this situation was chased away,â€ he cried. He stated that it was sad that the police had continued to hunt the community members when the driver of the vehicle and its occupants who ran over him, thus provoking the incident, was walking freely on the streets. He called on the state government to come to his rescue and intervene in the matter to enable peace reign in the community, adding that it was wrong for the police to â€œcontinue to arrest people when a judicial panel of inquiry has been set up to review the matterâ€. Mrs Chinasa Nnamani, a widow, said that her son, Onyekachukwu Nnamani, an apprentice at Alaba, Lagos was being chased around by operatives of Federal SARS. â€œMy son has not visited this community in the last three years. I wonder why the police should be chasing around all the children from this community at Lagos where they were learning trade,â€ she said. The mother of 10 said that as they are preparing for burial in her family, Igwe would task her to pay N60,000 for herself and N6000 â€œfor each of my 10 children. Enugu State Commissioner of Police, Danmallam Mohammed, confirmed that police sealed some of the suspectsâ€™ accounts but that it was the police strategy to make the suspects especially those on the run to turn in and answer for the allegations. Mohammed said that police would look at the accounts sealed and unseal them, especially those who are not seen to be directly involved in the beating of the traditional ruler. The police commissioner disclosed that the matter has been charged to court.